Green Earth Management Company is a multifaceted environmental solutions company with a new approach to the provision of environmental services to the industry. We have build a breadth of experience within the construction and waste and energy field and this reflects the nature of services we offer. 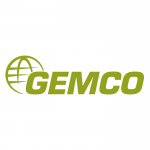 Here at GEMCO we believe that the key to a successful delivery is early identification of all key aspect. Once identified, these key aspects can be managed to the full potential of the development taking full account of the wider context.